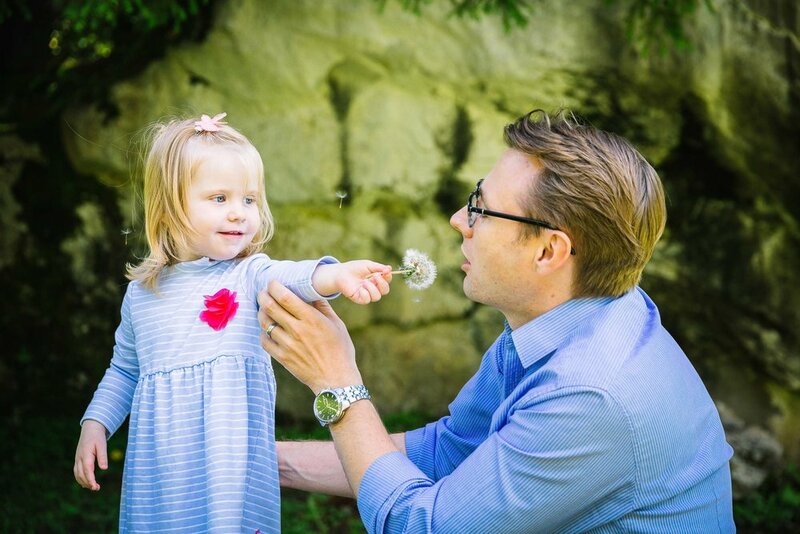 I had the pleasure of photographing Louise and her family when Thomas was only one and a half years old. When she got back in touch to tell me that they now had a little girl too I was only to happy to help organise a family photo shoot. The family love the mountains and we had originally planned a June ‘spring flower’ shoot to coincide with Evie’s birthday. We had a few false starts with some very cold summer weather and eventually life and work got in the way so we pushed the shoot the the following year. I’m always happy to wait for the right weather and season for a client’s shoot if they have something really specific in mind. Plus, no one looks happy if they are cold so I will postpone if I think your children will be uncomfortable in any way because of the weather. Now closer to Evie’s second birthday, the family had made some cupcakes for a snack and mini “cake smash”. Leaving the messy part till the end, we started with some portraits among the mountain flowers. I even managed to convince mum and dad into some pictures, because I knew they would be important for the final album even if it took some persuading! 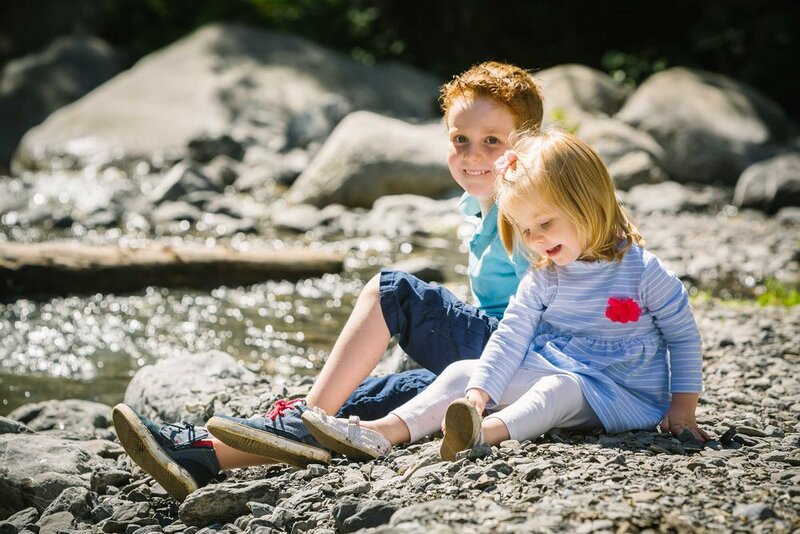 After a couple of sibling photos skimming stones on the river, we headed up into Solalex for some well deserved cupcakes. 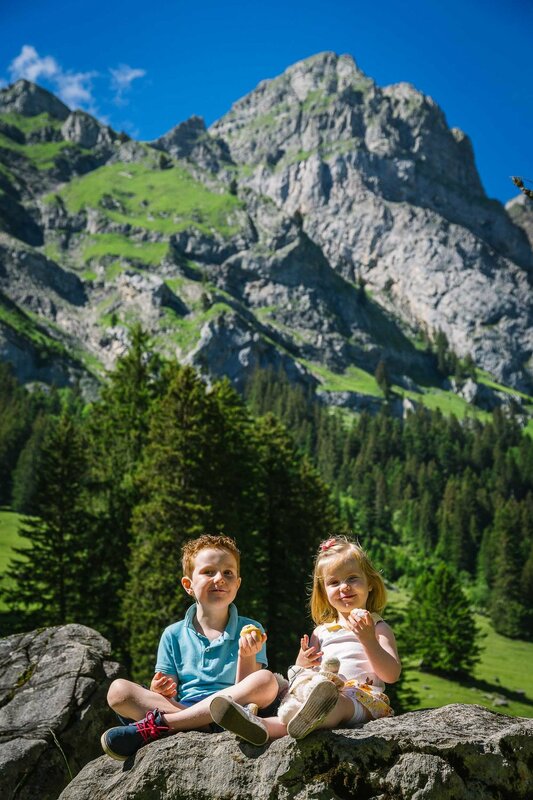 It can sometimes be difficult to get group family photos and show the mountains, but Solalex, with its giant boulders and alpine fields, makes for a perfect location. 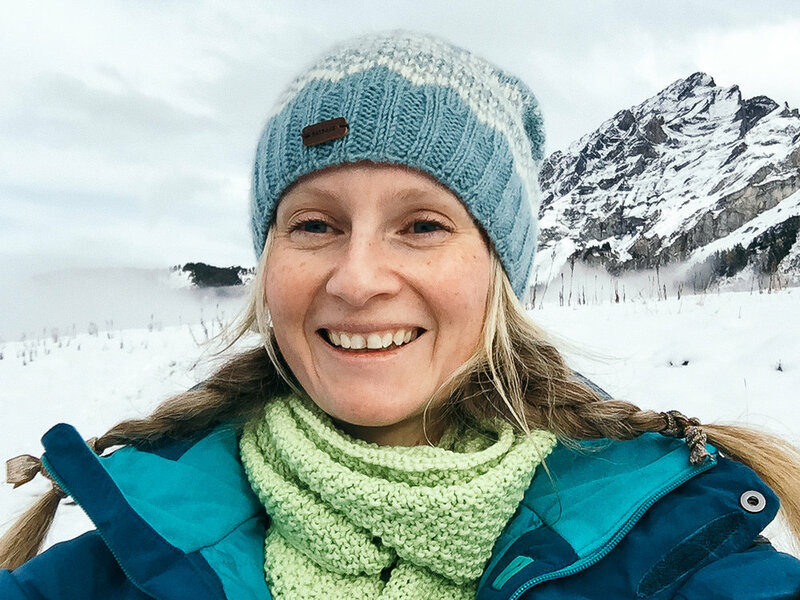 Having worked with me before, Louise already had a really clear idea about what she wanted from her images: an album to join the one we made for Thomas and three framed images of the kids for their new home. Going into your shoot knowing what it is for - be it presents for grandparents, an album or frames and canvases - means that we can be sure the get the right shots. Although I offer ‘files only’ collections, I always think it’s a shame to leave your images on the computer and always feel that I have done my job properly when my families go away with something they can actually hold and see every day. 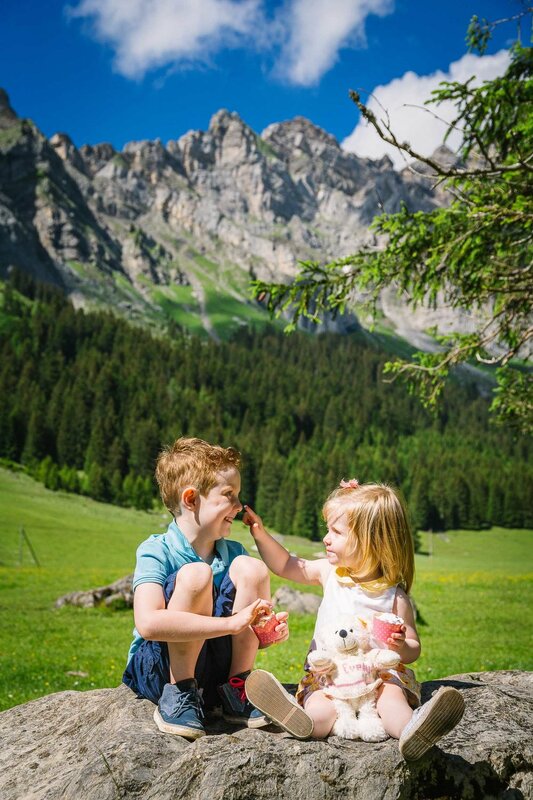 For Louise's family photography session we made the most of the Swiss landscape, choosing a wonderful mountain location. 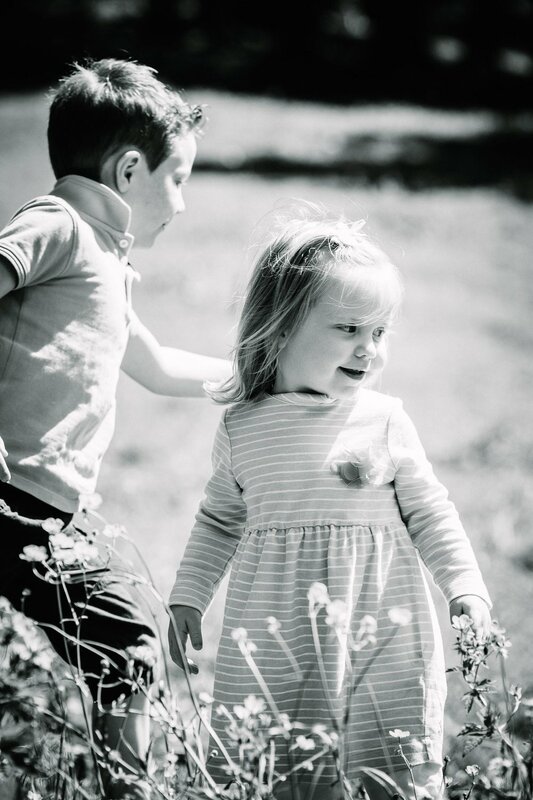 We focused on the children interacting and playing together for some relaxed, natural family portraits. A treat for the end of the shoot is always a good idea and keeps your kids happy for longer. The result was a great family Sunday story to put together in their album and framed portraits for the walls. 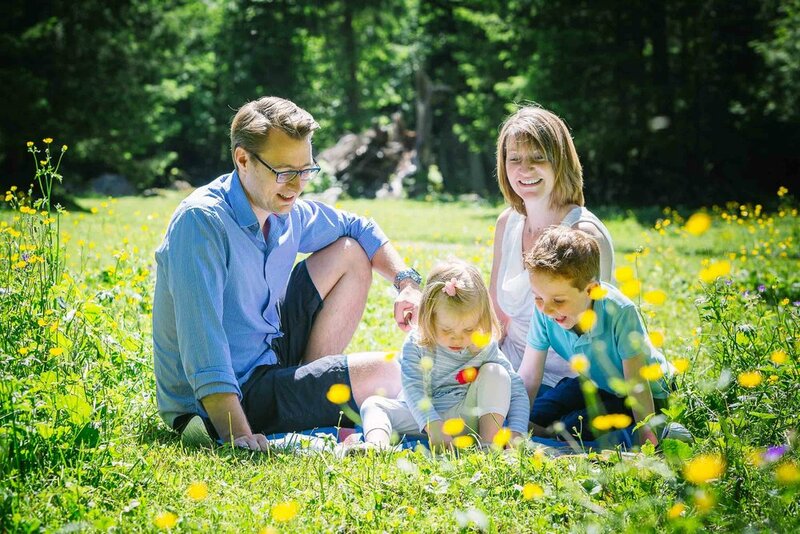 I offer a number of different family photography options for your photo shoot in Switzerland. Choose from prints, canvases, albums, cards or downloadable high resolution files and make your holiday memories really special. 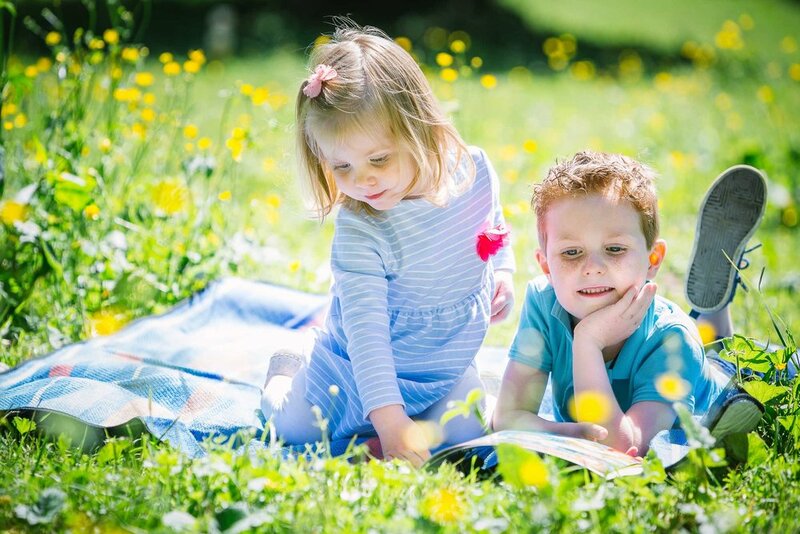 To book your summer family photo shoot, get in touch to check availability.